I first got my mitts on this pretty pinky-gold round pot of skin goodness just before I went off to South Africa at the beginning of January. I was kindly sent it from the brand Caudalie, who were also generous enough to pop in a tube of sun protection for my trip to sunnier climes (oh, how I miss thee sunshine). At first, I wondered whether I should wait to try it when I returned home, after all, my skin was about to be sabotaged by sun, sea and excessive alcohol and carb consumption. Surely, I thought, any products were not going to shine when up against that gamut of complexion wreckers? Well. I thought wrong. So very, very wrong! I did start trying it while I was away. 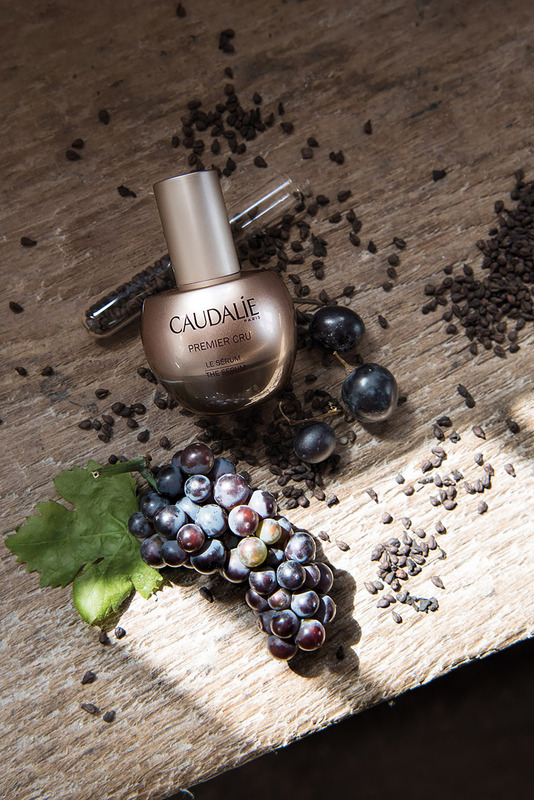 I massaged in a few, cooling drops of Caudalie Premier Cru Serum every morning, before my SPF and then in the evening before moisturiser or a facial oil. At first, I loved it for the light, easily absorbed texture that left my face feeling springy and firm to touch but now I love it for so many more things! Ok, so to give you a potted history of my skin in the warm, sunny weather – regardless of what sun protection I’m using and how much I cover up, I have a fairly olive/sallow complexion and always get a hint of a glow. 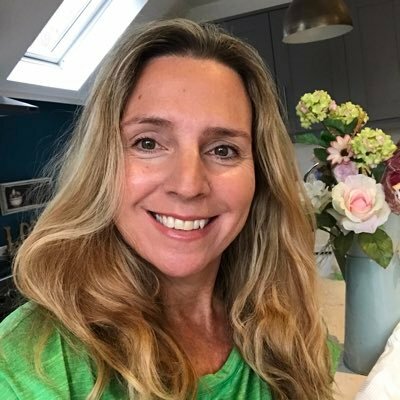 For the first few days of a holiday, it’s lovely and looks all surf-girl cool and healthy (although I know a tan is NEVER healthy – a hint of a tint looks fab though and there’s no denying) BUT after a holiday, when I’ve returned to colder climes (cold?! Bloody shockingly freezing!) my skin goes into melt down. The flattering glow fades only to be replaced by dry, dehydrated skin looking more wrinkly, tired and uneven than before I went away. I often break out with a few spots and dark patches too where the creams I’ve been using have blocked pores and the sun has caused its inevitable damage. Well, it’s nearly two weeks since I’ve returned and although the colour has faded, I feel my skin has taken on more of a vibrancy than before! I’ve taken to tapping and rolling the serum with my fingers across my forehead, cheeks, chin and sweeping a drop or two over the chest and neck and there is definitely a brightening and smoothness to my skin that I feel wasn’t there before using the serum. Basically, this means that as we age, our cells produce less energy and so our skin can’t function at its optimal level and Vinergy helps counteract this, thus keeping our skin feeling and looking healthier and more vibrant, for longer. 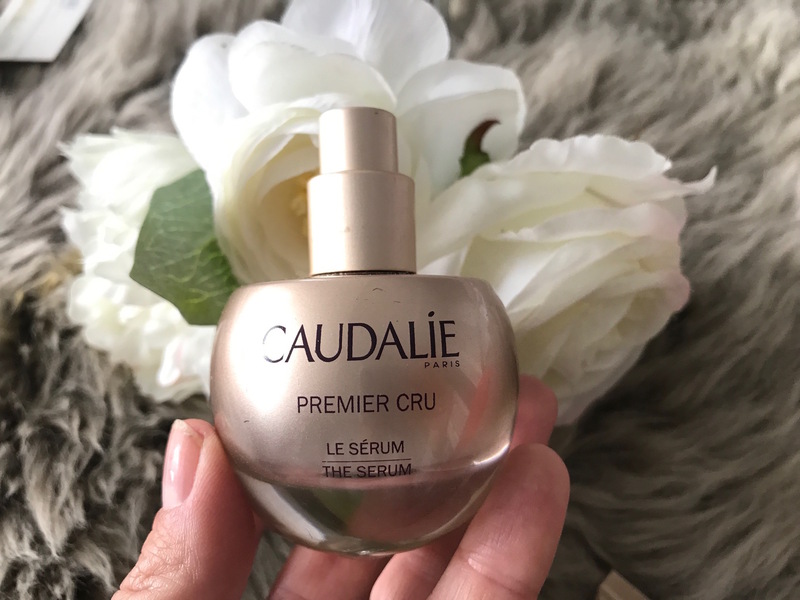 If you’d like to find out more about Premier Cru Serum or any of the other products in the range – or even read about the brand and the research behind it, click here. Do you use a serum or is that a skincare step you skip? Let me know in the comments below if there are any other products you really love – or any skincare/makeup you would like to find out about yourself and I’ll do my best to check them out and get back to you! I’ve had a few of their products in subscription boxes and loved them! Most my skincare budget goes on serums and treatments. This one sounds amazing!